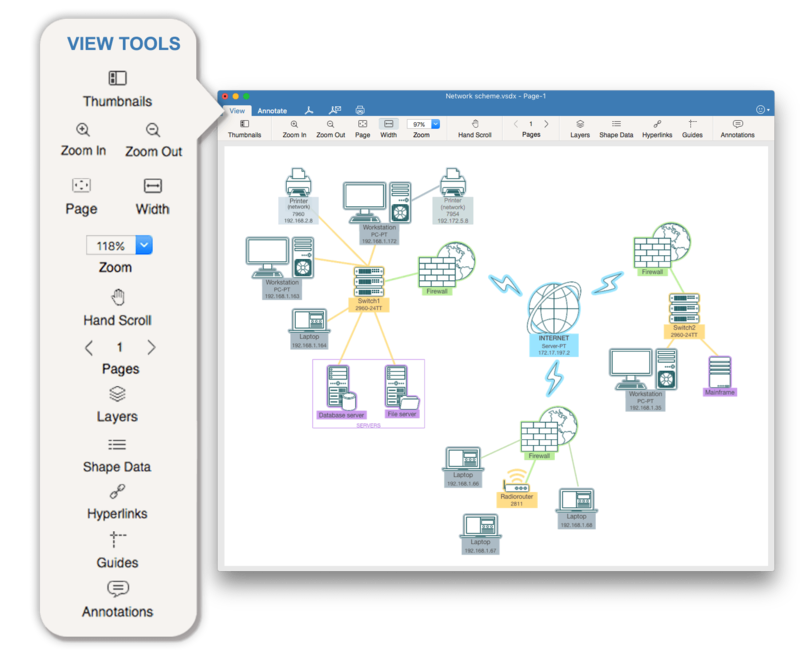 VSDX Annotator is an app to View, Edit and Convert Visio® Files on Mac. The Visio® viewer renders all drawings` content with formatting details and as a result, shows the flowcharts and diagrams exactly the same way as they are displayed by MS Visio®. VSDX Annotator is an extremely useful tool for teams that need to collaborate on their visual documentation in a multi-platform environment. The application makes it easy to display MS Visio® drawings on your Mac. The .VSD, .VDX and .VSDX formats are all supported. Open and preview any MS Visio® drawing in VSD/VDX/VSDX file formats. Navigate multi-page files, view Shape Data, Hyperlinks, Guides and Annotations. 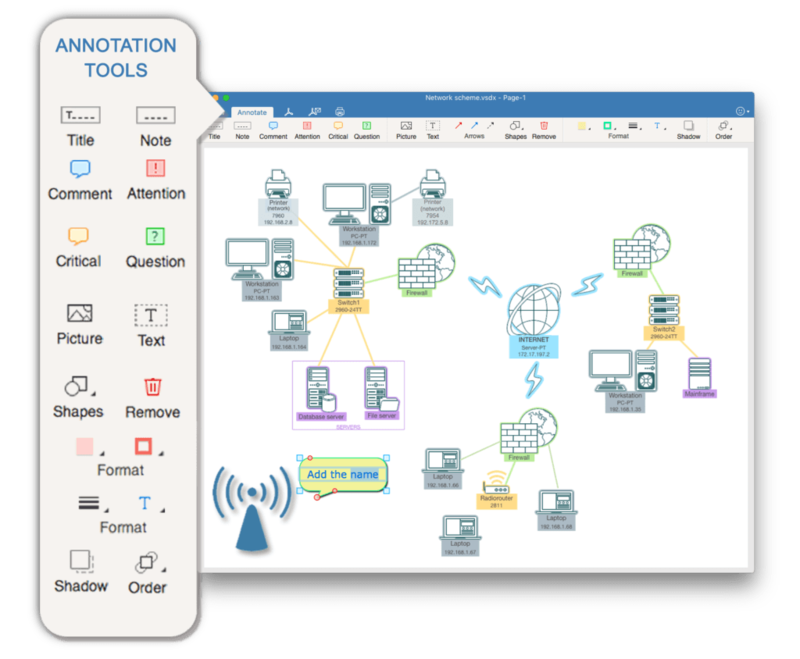 VSDX Annotator is not just a Document Reader, it provides useful features, such as adding notes, flowcharts and any graphic files. Save modified files in .vsdx or convert them to the more common PDF format. Send your files in PDF via e-mail or print them using the menu bar. It shows the document exactly the same way as it is displayed by MS Visio®. The application is constantly updated and support the latest features from MS Visio®. Choose and change text color, stroke, font, etc. Choose and change shapes color, size, type, line thickness, etc. VSDX Viewer allows you to save your drawings and diagrams again in Visio® format or convert it to PDF file. It`s easy to share and distribute Visio® files to your team members, partners and customers. Open, Edit and Share VSDX, VDX or VSD file with Visio® for Mac!